I’ve always had the belief that you vote for someone you believe in. When you cast your vote, you want that person to be president. This entry was posted in Libertarian Party and tagged Gary Johnson, Jesse Ventura, Libertarian Party on July 13, 2016 by Krzysztof Lesiak. The Governor ponders if and when he’ll consider a 2016 campaign for presidency. 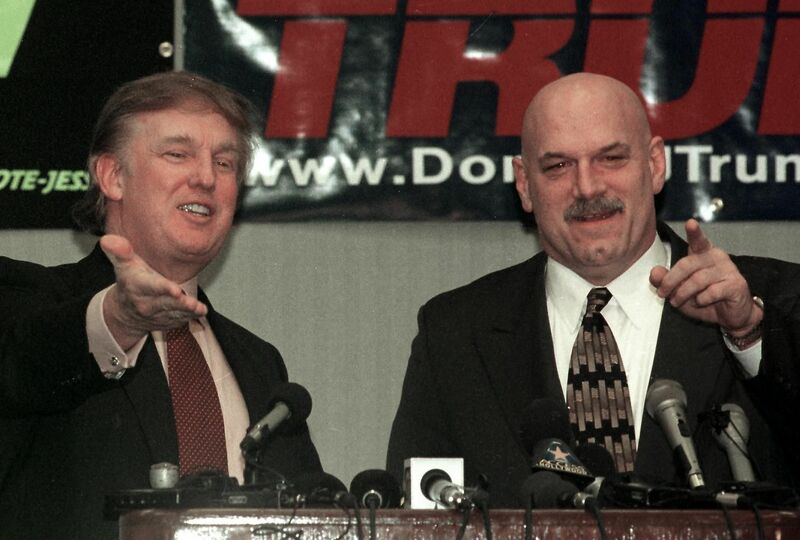 What will it take to get Jesse Ventura in the running? This entry was posted in Independents, Libertarian Party, Non-left/right parties and tagged 2016 Libertarian National Convention, 2016 Libertarian presidential nomination, ballot access, donald trump, Jesse Ventura on January 26, 2016 by Andy Craig. Jesse Ventura has, in a series of recent interviews and media appearances, talked about the possibility of seeking the Libertarian presidential nomination in 2016, providing additional details about his intentions. In a uniquely Ventura approach, he says he won’t actually join the Libertarian Party. This entry was posted in Independents, Libertarian Party, Non-left/right parties and tagged 2016 Libertarian National Convention, 2016 Libertarian presidential nomination, Gary Johnson, Jesse Ventura on October 15, 2015 by Andy Craig. On Sunday, the Star Tribune published an article in which former Minnesota governor Jesse Ventura discusses whether he will run for president in 2016. This entry was posted in Libertarian Party and tagged Jesse Ventura, Wes Benedict on September 15, 2015 by William Saturn. Roger Stone: 40 years Republican, 2012 Libertarian, now back on (R) Trump Payroll? This entry was posted in Libertarian Party, Third parties, general and tagged Jesse Ventura, roger stone on July 21, 2015 by Joseph Buchman. This entry was posted in Non-left/right parties and tagged 2000 presidential election, donald trump, Jack Gargan, Jesse Ventura, John Hagelin, lowell weicker, Oprah Winfrey, Pat Buchanan, Pat Choate, Reform Party, Republican Party, Ross Perot, Saturday Night Live on July 12, 2015 by William Saturn. Raw Story reports former Minnesota Gov. Jesse Ventura said in an interview with Alex Jones this week that he may run for president in 2016, possibly as a Libertarian — but that he would not join the LP. This entry was posted in Libertarian Party and tagged Jesse Ventura on July 3, 2015 by PJO. Donald Trump has formally announced that he is seeking the Republican nomination for President. This entry was posted in Non-left/right parties and tagged donald trump, Jesse Ventura, Reform Party on June 16, 2015 by Andy Craig. This entry was posted in Constitution Party, Green Party, Independents, Libertarian Party, Non-left/right parties, Third parties, general and tagged Dan Phillips, Jesse Ventura, MD on March 16, 2015 by Jill Pyeatt. In the above recent interview, the former Independence Party Governor of Minnesota further explains an idea has talked about before: seeking the Libertarian presidential nomination at the 2016 convention, while refusing to become a member of the Libertarian Party and instead campaigning as a no-party-affiliation independent. This entry was posted in Green Party, Independents, Libertarian Party and tagged Jesse Ventura on March 3, 2015 by Andy Craig. This entry was posted in Independents and tagged Jesse Ventura on March 3, 2015 by Jill Pyeatt.